Once in a while, the stars align and a team forms, that aims to change how we think. They work together to create a revolutionary idea, that the entire world stops and takes notice. The same wonderment has occurred with the team behind Nexus. Not merely a cryptocurrency, the technology that is being implemented in it’s Blockchain shows this team means business. They are a big bunch of mathematicians who have created Nexus Earth. A decentralized platform with a difference. It aims to connect, people, computers and businesses. They aim to achieve and create from scratch new applications for the financial sector, technology field, service industry while giving it a unique sovereignty. Mesh Networks: Even distribution on individual nodes, via a mesh to solve telecommunication errors. Cube Satellites: Line of Sight and transcontinental communication errors solved with deployment of a satellite that cache layers and mesh networks to further relay them to the mesh network on the ground for optimum coordination. Ground Stations: They are the ones that shall coordinate the uplink / downlink operations. Ground stations also are responsible for the coordination of data all through the mesh network. Nexus Deamon: Peer to peer network to exchange data and upload and secure it on the Blockchain. Wallet: Under development is a ‘high level graphical application’. It’s interface is a modular framework that can be tweaked and further developed for sale to achieve greater user experience. Library: a lower level library has 3 components. Crypto, Database and Protocol. These programing based templates are a foundation on which difficult structures are going to be created. When we have a Bitcoin transaction, the time taken for clock drift is very high. 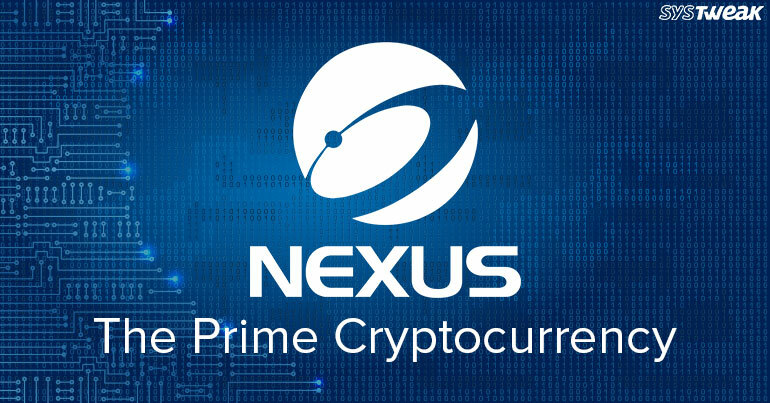 With Nexus, focus is kept on achieving a smaller time taken so that no scope can be given to hackers to try and breach the security that is at that time vulnerable. Additional features that have been created are automated decentralized checkpoints, where in a complete check of the Blockchain is undertaken so that any hacker cannot create an alternative Blockchain from the last checkpoint time. The crypto that has been created on this platform works on the Proof of Stake system. This peercoin protocol relies heavily on utilizing the energy efficiency threshold, the trust keys and logarithmic weights. This results in creating the fairest and most stable Proof of Stake system of all time. While the market is slowly getting flooded with multiple cryptos, it always serves our purpose if we look into the team which is behind it. For the value of the digital asset to grow, it becomes important that they deliver on the platform that they have created. Keep your eyes open for this one folks!